The outdoor terrace, open all year round, has a fence that protects you from the feeling of eating in the middle of the street and maintains the peace. The only non-client allowed to breach it is the lady who sells lottery, who has been doing it all her life in the restaurants of La Barceloneta and is already a neighbourhood institution. 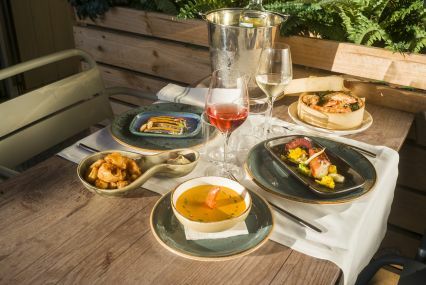 But be careful, if you want to book a table, the terrace is so sought-after that the reservation is only kept for the first half hour of service (i.e. from one to half past one).